Emotional Freedom: The Choices We Must Make shows us we can overcome the addictive emotions of destructive anger, resentment, and revenge and grow the satisfying “fruit” of self-control, joy, and mercy. To explain how all emotions, both addictive and satisfying ones, develop, emotions are compared to trees. An “emotional tree”, like a biological tree, consists of roots, limbs, leaves, and fruit. Our feelings (leaves of the tree) are attached to our conscious thoughts. Our conscious thoughts (limbs of the tree) are attached to our hidden, heart beliefs. Our hidden, heart beliefs (roots of the tree) influence the entire tree. Our behavior (fruit of the tree) grows out of our beliefs, thoughts, and feelings. Healthy emotional trees produce the fruit of self-control, joy, and mercy. Unhealthy emotional trees produce the fruit of destructive anger, resentment, and revenge. By our choices to believe lies or truth, we determine what kind of an emotional tree we will grow. Easy-to-understand diagrams and maps show us how the choices we make combine with God’s grace to bring us emotional freedom. 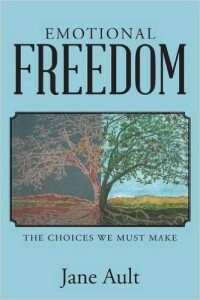 Emotional Freedom: The Choices We Must Make is available in E-book, paperback, and hardcover formats at Amazon. To get to Amazon site, click here.